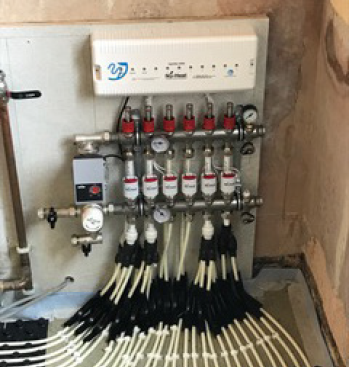 We are specialists in underfloor heating and are pleased to work with Nu-Heat to ensure that you get the best possible heating solution for your needs. 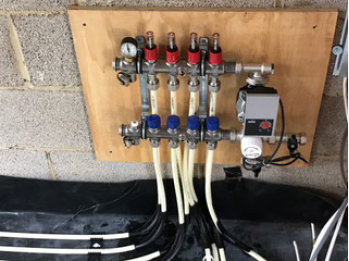 We offer a complete installation service, from system design to pouring the screed. 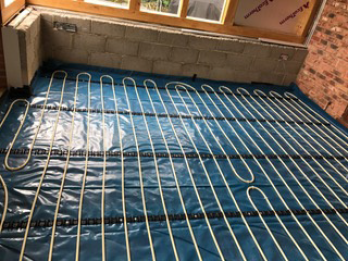 UFH is around 25% more efficient when paired with a condensing boiler and 40% more efficient when paired with a heat pump compared to a radiator system, saving you money on fuel bills. 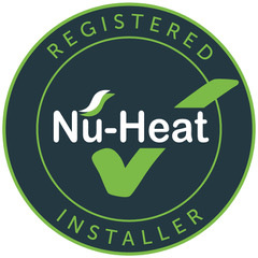 Nu-Heat's award-winning LoPro™ range offers the very best underfloor heating solutions, suitable for renovations, extensions, loft conversions and bathrooms. 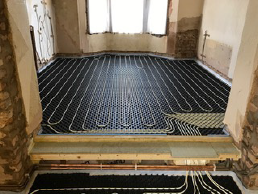 The high heat output of LoPro™Max makes it an ideal underfloor heating solution for most renovation projects. 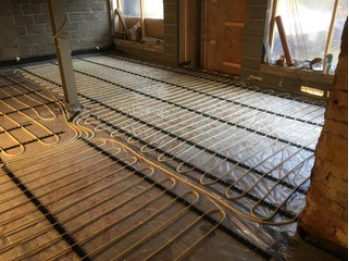 If floor-to-ceiling height is a concern, LoPro™10 is the slimmest retrofit underfloor heating system at just 15mm. 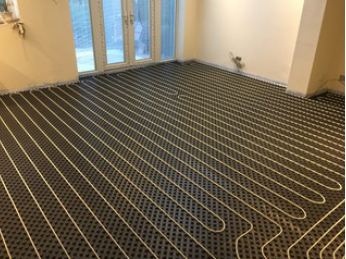 As a mostly dry system, you can fit your floor coverings almost immediately and installation is quick.